Sign Up: Enter your full name, email, password, password confirmation and contact phone number and accept the Terms & Conditions. Login: Enter your email and password to login. (If you have chosen “Remember me,” you will not have to re-enter these. Check to make sure your information is correct and edit it if necessary. Add an emergency contact person and number and your address. Fill in your dog’s information and upload a photo of your dog. Fill in as much information as you can. If you don’t know a piece of information, you can add it later. You can add as many dogs as you like. Select the month, day and year of your dog’s birth and save. Enter your dog’s weight in pounds and save. Select all the words that describe your dog. When you tap a word, it will appear at the top of the list. Select as many as you like. To de-select a word, go to the top of the list and tap the word again. You can add a temperament by tapping the “Add” button in the lower right corner. Choose whether your dog is a purebred, has multiple breeds or if its breed status is unknown. For purebreds, choose from the list of breeds. For multiple breeds, choose “Multiple” and then choose the breeds from the list. For unknown breeds, choose “Unknown.” Save by tapping the checkmark in the upper right corner. If your dog is spayed or neutered, slide the toggle switch to the right. If your dog is not spayed or neutered, simply leave the toggle in its original position. Tap on the heading and fill in the space with the required information. If you choose to get your dog a Barkily QR Code tag, you will be able to connect it with your Barkily app here by either entering the number on the tag or by scanning the tag with your phone’s QR Code reader. If you change your dog’s QR Tag, you simply enter the new tag’s number or scan the new tag to replace the old one. Barkily app will still work without a QR tag and you are not obligated to get one to use the app. When you are done adding your dog’s information, tap “Save” in the upper right corner. You can scroll up or down to see your dog’s complete Barkily Profile Certificate. To print, share or search your certificates, scroll up until the drop-down menu appears and choose the print, share or filter function. You can share your dog’s certificates by either entering an email address or choosing from your Barkily contacts. Tap the category and add the necessary information. Select the vaccines your dog has received from the list provided. To add a vaccine that is not on the list, tap the “Add Vaccine” button in the lower right corner. To save the vaccines, tap the checkmark in the upper right corner. Select the vet who performed the vaccine from your list of vets. Select the vaccine date by tapping “Vaccine Date.” (It automatically defaults to today’s date. Add any notes you want. Select a lab test from the list or add a new lab test by tapping the “Add Lab Test” button in the bottom right corner, filling out the necessary information and saving the new test. Add the required information for your dog’s last dental cleaning and the appointment date of its next cleaning and save. Select the surgery your dog has received from the list provided. When you want to add a new surgery, tap the “Add New” button in upper right corner. To save the surgeries, tap the checkmark in the upper right corner. Select the vet who performed the surgery from your list of vets. Select the procedure date by tapping “Procedure Date.” (It is today’s date by default) Choose the Surgical Procedure by selecting the Procedure from the list. Add any notes you want. Add any attachments required. Select the date for your appointment. After you have selected the date, add the required appointment information. Select a medication from the list or add a new medication by tapping the “Add Medication” button in the bottom right corner. Fill out the required information and tap “Save” at the bottom. To add flea/heartworm control, “Add New” from the button in the upper right corner. Select the vet who conducted the flea/heartworm control from your list of vets. Select the type, which includes Flea Meds, Heartworm and Flea/Heartworm Combo. Select the form of medication – Pill or Topical. Choose the date given and the frequency. Add the medication name from the list and select them from the list. Choose the brand of the medication and the amount to be given. Add notes and attachments (if any). Select food from the list provided – wet food, raw food or dry food. Enter the brand name, food name and the time. Add notes and attachments (if any). Can I use Barkily to identify the breeds of my mixed breed dog? Yes. While Barkily cannot definitively tell you the breeds of your mixed breed dogs, it gives you tools to make an educated guess about its breeds. To add a vet, tap the + in the upper right corner. Fill out the information about your vet and save by tapping the checkmark in the upper right corner. Scroll down to go through your list of businesses or search for a business by name. If you want to see only a certain kind of business, tap the “Filter” button to the right of the search bar and choose the type of business you want to see. If you want to add a business, tap the +. To see business information, tap on the business name. To see an appointment’s details, tap on the date. 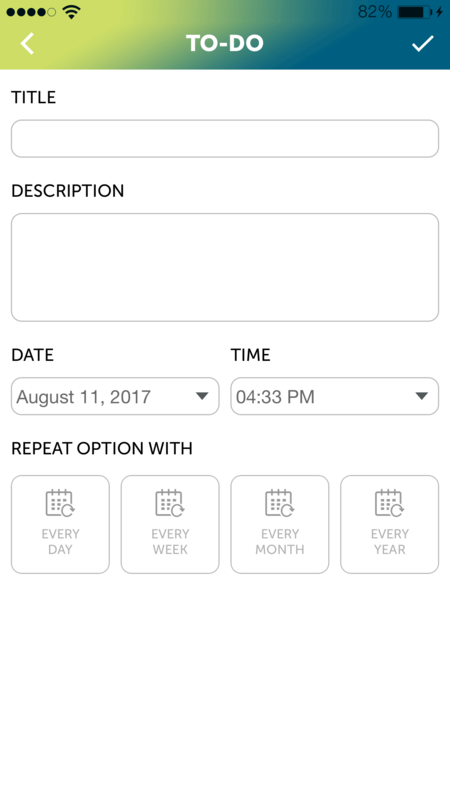 To add an appointment, tap the “Add Appointment” button at the bottom of the page and fill in the required information. To check your Notifications, tap the “Notifications” button at the top. To check all of your appointments, tap on the Appointments list button at the top. To add a To-Do, tap the + at the top, fill in the required information and tap the checkmark to save it. To edit or delete a To-Do just click on the To-Do menu and slide. Fill in the required information and tap the checkmark at the top. This will give you a list of possible breeds for your mixed-breed dog. You can tell us if this tool is helpful or not by tapping “Yes” or “No” at the bottom and telling us why it was or wasn’t helpful. Upload all the important documents related to the pet. These documents can include certificate of vet inspection, vaccination documents, proof of ownership, latest medical records, license etc. 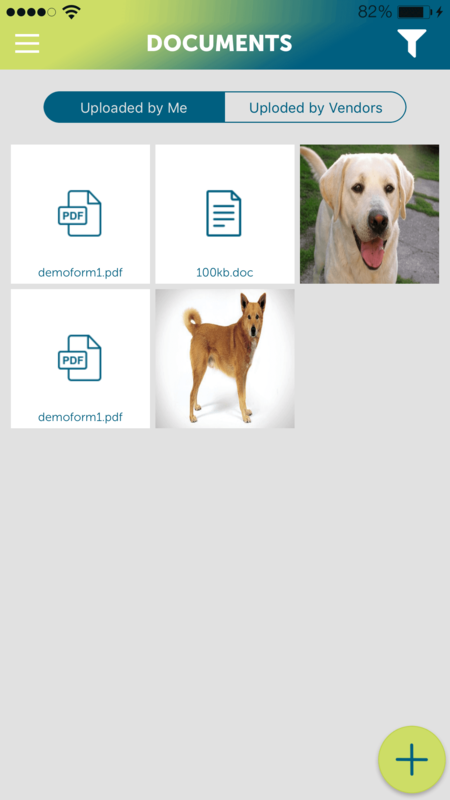 Dog parents and service providers can upload the documents by clicking on ‘uploaded by me’ or ‘uploaded by vendors’ button. Choose what kind of message you want to send. (Report Bug, Feedback or Other) Write your message in the description. Send by tapping the “Send” button in the right upper corner. To see your notifications, tap the “Notifications” button. Tapping My Account will take you back to your profile. You can edit anything in your profile by tapping it and adding any new information. Tap “Done” in the upper right corner to save your changes. Tap “Change Password” at the bottom to change your password. To see your notifications, tap the “Notifications” button. This page shows you all your recent activity. To see only certain activities, tap the “Filter” button in the top right corner. You can filter activities by date range or by dog. To see your notifications, tap the “Notifications” button. This page answers commonly asked questions about Barkily. To see an answer, tap on the question. To see your notifications, tap the “Notifications” button.